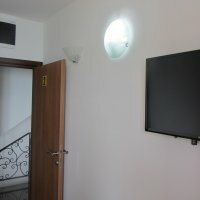 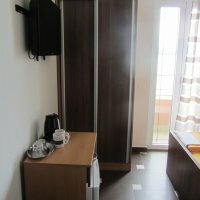 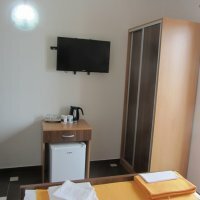 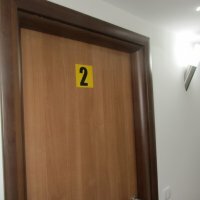 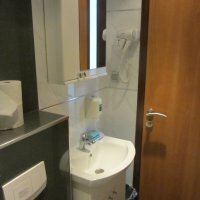 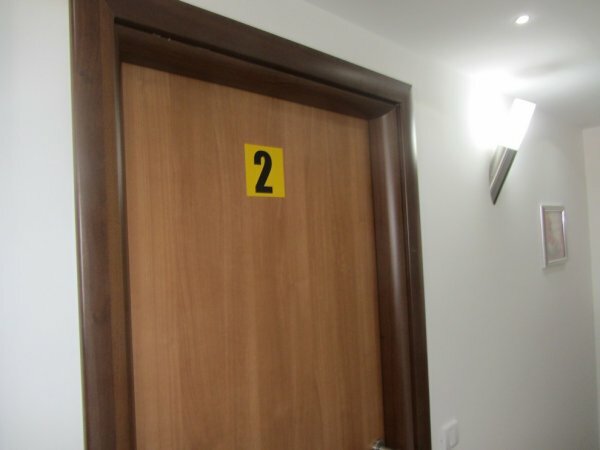 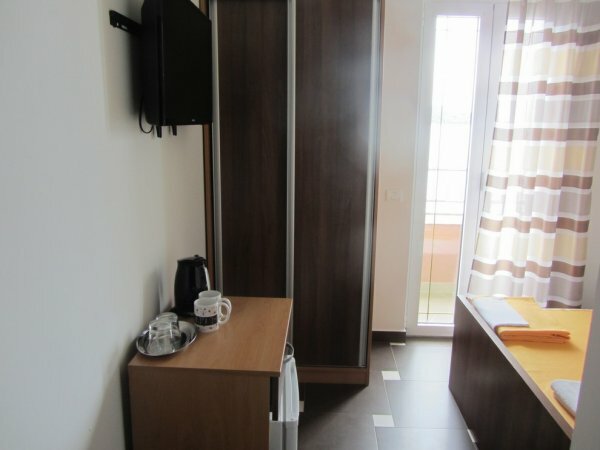 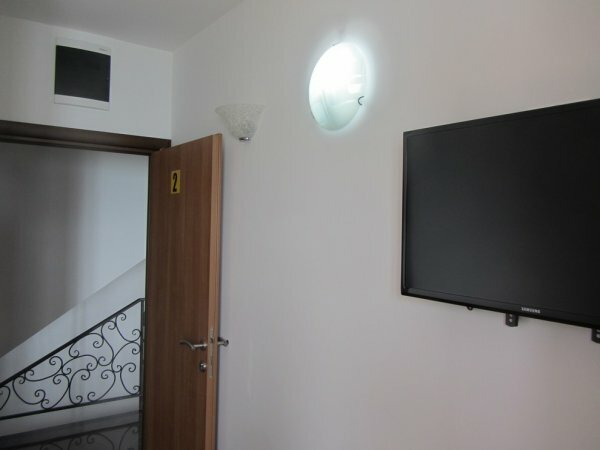 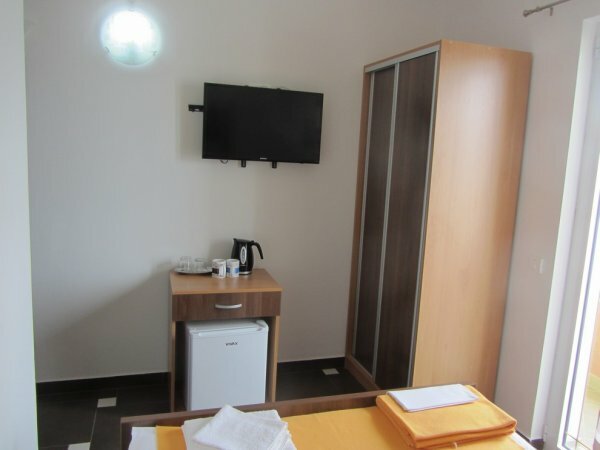 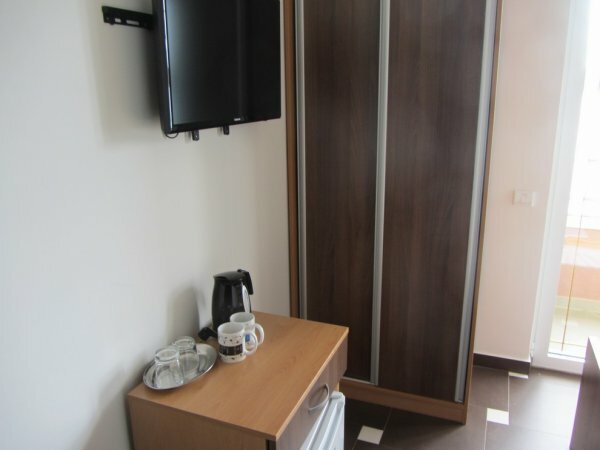 Room № 2 has a wardrobe, a bathroom with shower, small refrigerator, TV, air conditioning, table, chairs, a double bed, two bedside-tables, hairdryer, free internet Wi-Fi. 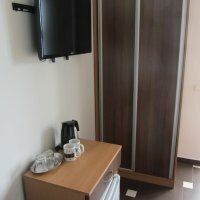 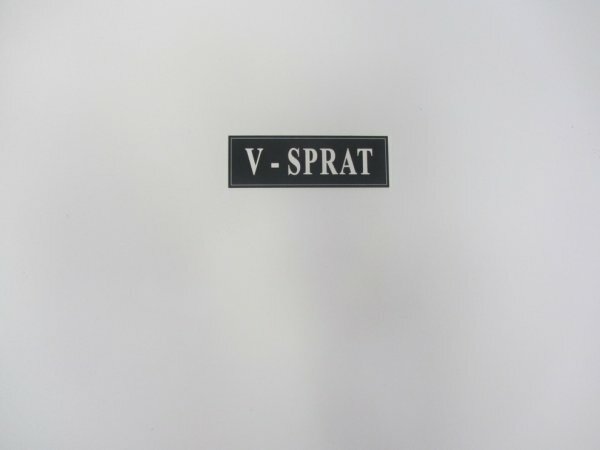 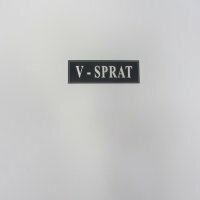 Iron and ironing board is for common use. 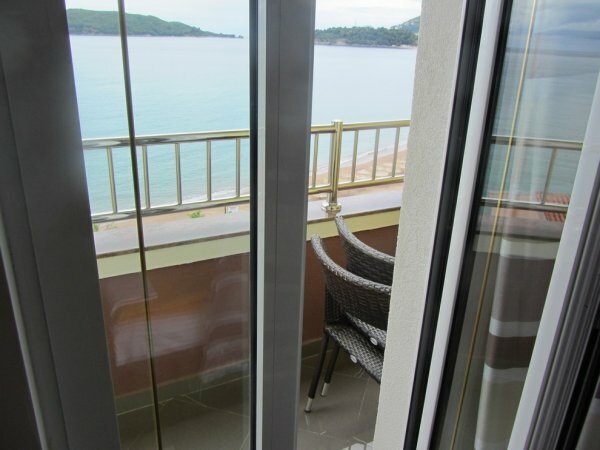 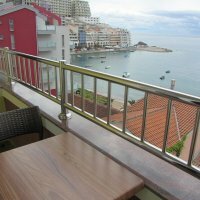 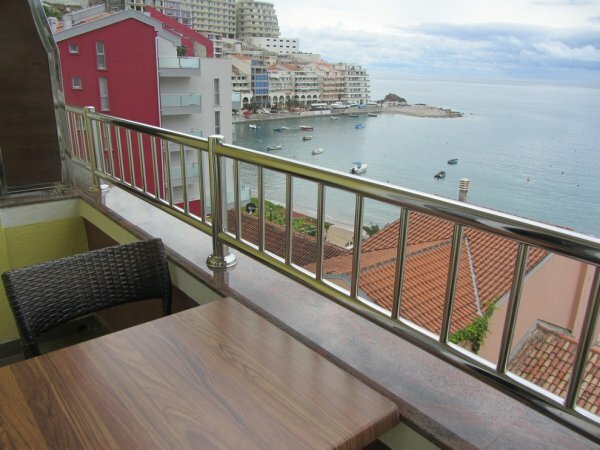 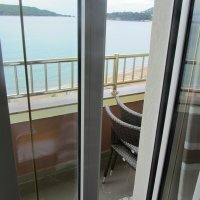 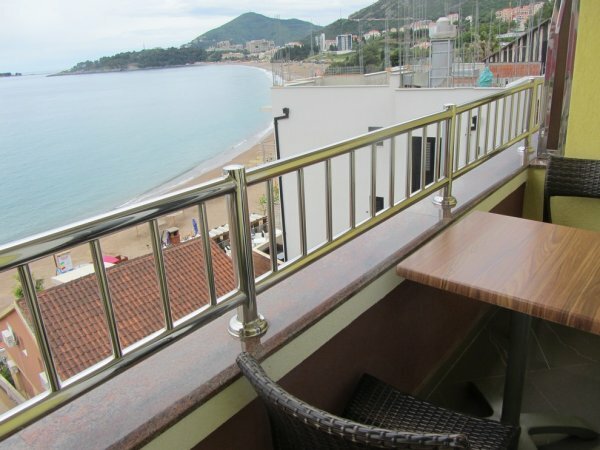 There is a terrace with panoramic views of the Adriatic Sea. 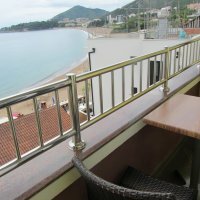 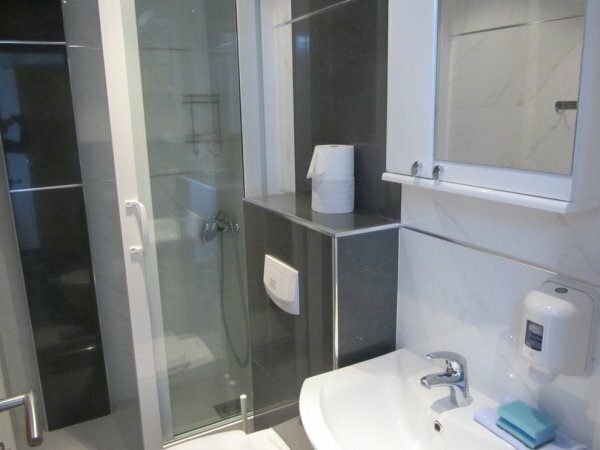 Walking distance to grocery stores, restaurants, bars, beach is 35 m away. 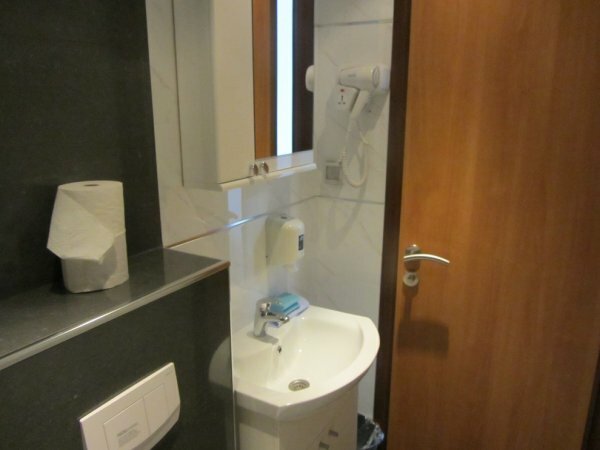 Daily cleaning is included in the price. 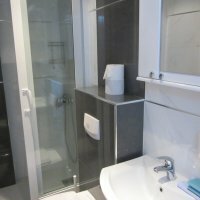 Replacement of towels and bed linen upon request is free of charge.